The District provides a number of programs as adopted in the Service Plan. For more information on any of the programs listed below please contact the Director of Services, Brian Burks at 281 564-5252 or email. Our Proactive Enforcement Initiative is a total enforcement effort focusing on multifamily communities and business centers. Deputies work as a team, enforcing criminal and traffic laws in an effort to detect and deter criminal activity. It has been proven that enforcement of the simplest of infractions can often result in the discovery of much more serious crimes. Our Private Security Initiative is designed to provide regular patrols of area business centers & develop positive contacts with business owners that will facilitate open communication of their needs and concerns. Patrols are conducted 7 days a week. The Board of Directors and Staff of the International District want constituents to know they are working in close cooperation with area partners to promote a safer community. We would like to acknowledge our community partners who are so helpful with our Public Safety efforts: The Houston Police Department; S.E.A.L. Security Solutions; Alief ISD Police Department; Harris County Sheriff’s Office; Greater Sharpstown Management District; Brays Oaks Management District; and the Westchase Management District. Partners with local law enforcement agencies to focus attention on the safety needs of the area. 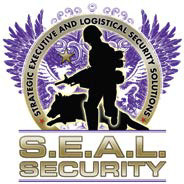 Provides private security patrols 80 hours per week in all commercial corridors. Builds positive relationships between property owners and public safety organizations through sponsorship of safety awareness programs and activities. Implements and tracks new technology to reduce crime rates. Example: Mobile cameras. Advocates for security needs and funding with city, county, state and national law enforcement and criminal prosecution agencies. Conducts street lighting surveys to ensure that the City of Houston and utility companies are apprised immediately of outages in public areas. Contracts for graffiti removal services throughout the District. Since this program was implemented, over 2,000 graffiti incursions have been abated. Partners with the City of Houston to remove abandoned structures and vehicles. Harris County Attorney Nuisance Abatement program to ensure responsible stewardship of commercial properties. 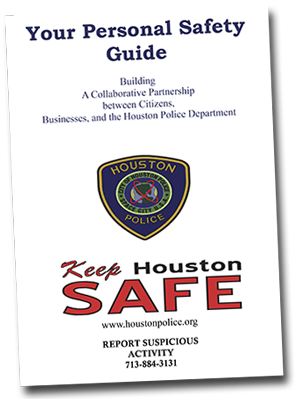 Houston Police Overtime Program to address crime trends in specific areas of the district. Litter Abatement Initiative which removes trash from district corridors 3 days per week. Safety programs and initiatives are coordinated by the District’s Public Safety Committee which meets monthly. Remember, if you have an emergency, call 911 first! The Houston Police Department is asking that you as business owners sign and notarize a Trespass Affidavit so they can hold suspects caught breaking into your property after normal business hours. If a Trespass Affidavit is not on file, the police may be forced to release suspects caught in the act of burglarizing your property unless you can be contacted by phone and you advise them you are willing to prosecute. 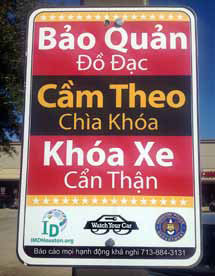 Please help the Houston Police Department help you! Yes, that’s right, Boy Scouts! 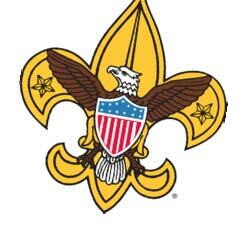 The International District is proud to sponsor Cub Scout, Boy Scout and Venturing Crews in apartment communities in three distinct geographic areas of the district at: Arrowwood Apartments at 8304 South Course, the Mint at 6700 South Dairy Ashford and Catalina Apartments at 11555 Bissonnet. The District feels strongly that assisting area youth in finding positive activities is key to improving safety in the community. Director of Services, Brian Burks puts it this way: “Putting crooks in jail will absolutely not impact area crime long term. To do that, you must invest in initiatives that change the mind set of people before they begin to commit crime”. Boy Scouts of America provides a true long term solution to the problem of juvenile delinquency and adult criminal behavior. The initiative has also been cost effective for the District. Initially, International District provided a total of $10,000.00 to fund two Boy Scout initiatives at the Mint and Catalina Apartments. The other $5,000 was then leveraged through the City of Houston Weed and Seed program for Arrowwood Apartments. So can scouting really reduce crime or prevent criminal activity? You bet! At the Mint Apartments, where scouting has been in place the longest, the crime rate has dropped by 22%! (Statistics provided by Houston Police Department). Scouting teaches children how to be part of a team, develop leadership skills, and that anything worth having is worth working for! Credit for this success at the Mint does not belong only to scouting. Responsible property management has been the driving factor behind all of this success through an onsite community center operated by Texans Together who are also key partners of the District and the community at large. The Board of Directors and Staff of International District want to encourage all who read this page to give of their time, talent or treasure to Boy Scouts of America through Tatanka District which serves the children within the boundaries of International District and Alief Independent School District. Contact International District Director of Services, Brian Burks at 281 564-5252 or e mail at bburks@haweshill.com to find out how you can help. The District is partnering with other emergency service agencies and also has memorandums of understanding with seven (7) additional management districts: Greater Sharpstown, Brays Oaks, Westchase, Montrose, Spring Branch, Aldine and Greenspoint. The “All Hazards Approach” has a goal of keeping businesses in operation to provide uninterrupted service to the community. The unified plan will operate Points of Distribution (PODS), if necessary. We will be available as a resource to assist city, county and state government as needed. All activity will be coordinated through Houston and Harris County Offices of Emergency Management. Other key partners: Alief Citizen’s Emergency Response Team (C.E.R.T. ), Alief ISD, Harris County Pct 5 Constables, State Representative Hubert Vo, State Representative Kristi Thibaut, State Senator Rodney Ellis, and Anthony Robinson, J.D. (F.E.M.A. Compliance). The division is responsible for monitoring Dangerous Building Orders of the Building and Standards Commission and the Hearing Official for owner compliance. Contract Compliance Officers conduct compliance inspections after the dangerous building order expires. If the owner has not complied with the order, the inspector refers the property for demolition or securing based upon the condition of the structure. 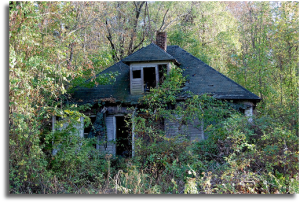 The division provides dangerous building, weeded lot, junked motor vehicle, and graffiti abatement services on private property when owners have failed to comply with a dangerous building order, or a violation notice. Liens are placed against these properties once the City has performed the work. Neighborhood Protection enforces Chapter 10 of the Code of Ordinances. 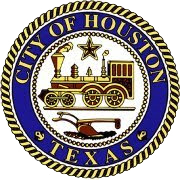 Visit the City of Houston’s Code of Ordinances site. The City’s Code of Ordinances (10-451b) requires each property owner to maintain 14 feet in front of and behind his or her property line, this includes the city right-of-way. Just as you mow and maintain the grassy area in front of your home all the way to your curb or street, you are also responsible for mowing the side and back of your property if it extends to a curb, street, alley or ditch. You are responsible for more than just your property. As a resident, you are responsible for your neighborhood. This includes the city right-of-way adjacent to your home. Not only is it required, it is the right thing to do – it maintains the quality of life in your neighborhood. Each time you mow or pick up trash, you are doing more than yard work – you are improving your neighborhood. The District contracts with the Greater East End Management District to provide graffiti removal services for the district. This graffiti removal program not only covers or removes the graffiti but attempts to restore the surface to its original condition, through on site color matching of paint, power washers, or whatever it takes. This process not only removes the graffiti but removes the graffiti scar as well. The Graffiti Abatement Program directly contributes to the Management District’s economic development and public safety improvement goals. Since inception of the program over 6000 sites have been abated. The District also provides for mowing, trash and bandit signs removal in the public right-of-way. Typically over 100 bandit signs are removed each month. We actively work with the City to report incidents of graffiti and illegal signs. To report violations or to get more information about the program, please use the report a issue form or call District staff at 281.564.5252 or report to 3-1-1. The International District has an agreement with SMC Logistics to conduct Street Light Outage Surveys of all main traffic corridors in the district. SMC will conduct regular inspections for light outage and immediately report their findings to Center Point Energy for repair. Keeping streets well illuminated at night enhances overall safety for the motoring public. Effective March 1, the security contract increased from 80 hours a week to 112, with special emphasis on the prevention of early morning burglaries at local businesses. Burks said the S.E.A.L. team has already proven itself in the HPD crime statistics which show an estimated 13% decrease in commercial burglaries over a two-month period from December to February. Litter, lighting, and graffiti are also critical factors in the overall public safety agenda, he said. In 2013, the District picked up 26,700 pounds of litter with a budget of $49,500 per year. Additionally, 1,753 sites marked with graffiti were cleaned up in 2013, making a total of 5,101 since 2009. The District’s yearly budget for graffiti abatement is $45,800. Burks said a quarterly survey of street lights is very important to safety, and 1,782 lights have been replaced in the District since 2009. In other public safety related initiatives, Burks said the Harris County Attorney’s office has been successful in shutting down three area “spas” which were fronts for prostitution operations as well as three game rooms. The County attorney is working with HPD undercover officers to investigate other game rooms where narcotics operations are suspected and is notifying property owners of illegal activities.